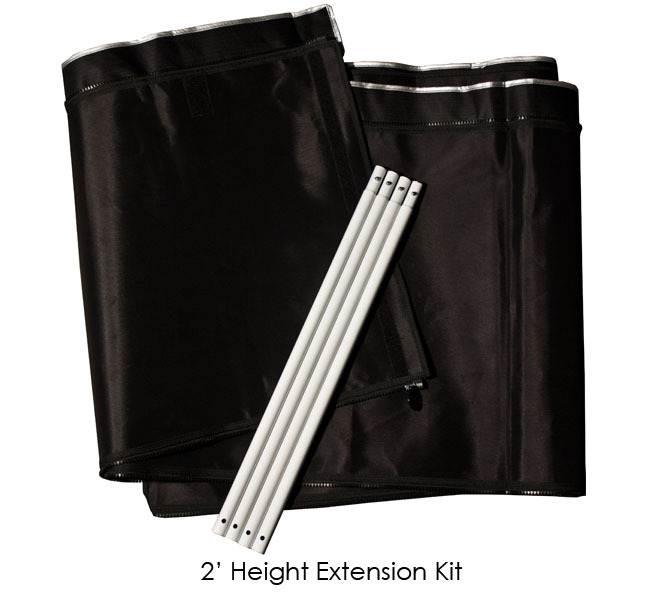 Every Gorilla Grow Tent already includes a complimentary height extension kit that gives you the ability to increase your growing height from 7' to 8'. With this 2 foot height extension it you will now gain the ability to have a tent that is 8', 9', or even 10' in height, by using either just the 1' kit or the 2' kit, or combining them to make the ABSOLUTE TALLEST GROW TENT KNOWN TO MANKIND!!! 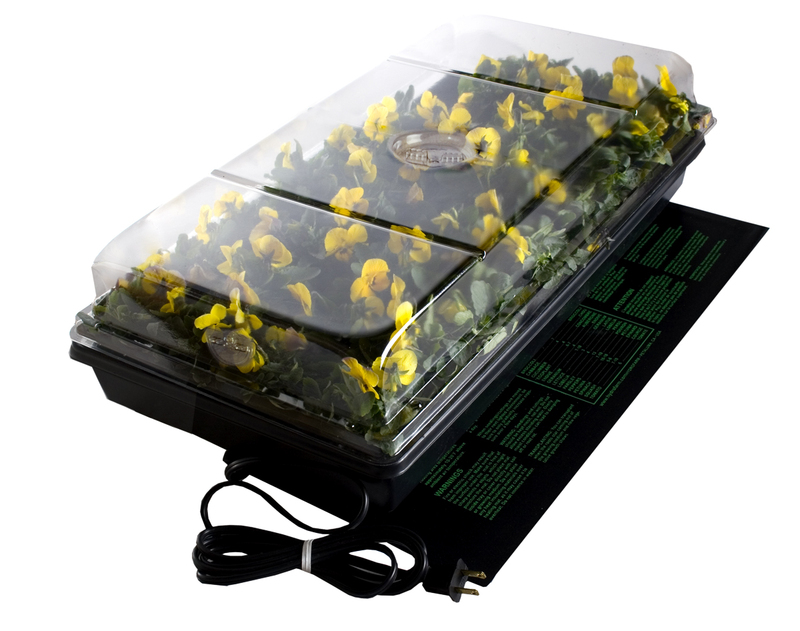 ● Significant Yield Increase - More usable growing height allows you to cultivate larger plants. Larger plants produce larger quantities of fruits and flowers. ● Stable, Ideal Temperature Around Plants - Heat rises. With the additional height this kit provides, your heat will stay up by the lights where you want it, and more importantly, away from your precious plants. What does this mean for you? It means that your plants will produce more densely and fully with tighter fruit and pod bundling, and elicit a greater flavor and nose. This all equates to BETTER QUALITY YIELDS! ● Stand-Up Maintenance - SAVE YOUR BACK! Place your plants on a table. With the significant increase in height, you can now still have ample growing space. Ease your personal wear and tear without compromising your results.